Canada’s federal and provincial governments are running out of unique pieces of policy that have traditionally enticed automakers to build new assembly plants here, forcing governments to resort to simply giving away tax dollars for new investments, according to a report out of McMaster University. Greig Mordue and Brendan Sweeney examined Canadian automotive policy beginning with the 1965 Canada-U.S. auto pact and followed it through the 2008-09 recession. They found that developing countries, which like Canada have no native automakers, were closing the gap on Canada when it comes to auto investment and production. The duo found that many of those once-developing countries now have auto policies, health care and quality of work similar to that of Canada. Many also have cheaper labour, too. 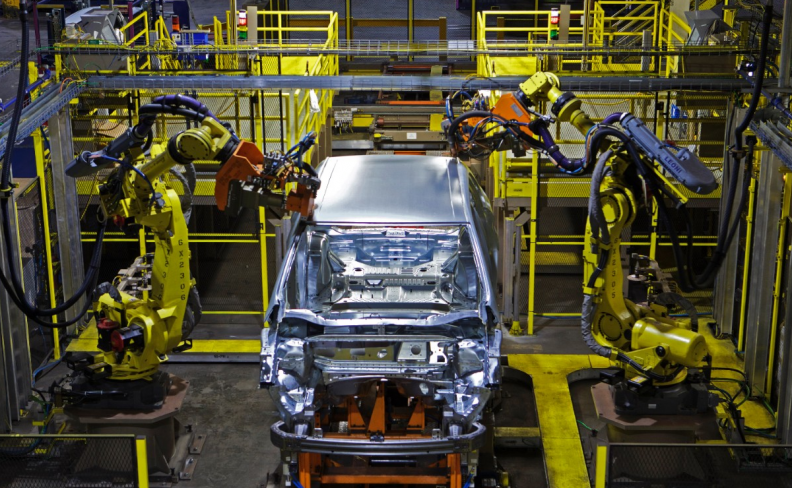 “The combined impact of these changes is that Canadian automotive workers and the governments of Ontario and Canada are in a similar position: vulnerable and exposed,” reads the report entitled The Commoditization of Automotive Assembly: Canada as a Cautionary Tale. That wasn’t always the case, according to the report, published in The International Journal of Automotive Technology and Management. “For several decades, Canadian policy-makers concocted a clever mix of inducements and threats to create the conditions for a successful industry. By most standards, Canada performed well. It made more vehicles than its consumers purchased and until recently, it consistently increased its share of regional production,” the report reads. “We had a tool box as recently as the ’80s and ’90s that was full of different tools. We had carrots, incentives that were relatively new to Canada at the time, and sticks that had been in place for a long time, in terms of direct hits like tariffs. Frankly, Canada used them very, very well,” Mordue told Automotive News Canada in an interview. Now, countries like Austria, Belgium, Spain and Mexico tout similar carrots and sticks as they pursue new assembly plants and coveted high-paying auto jobs. Workers there also do quality work, something Canadian politicians and unions used to say only existed in Canada and the United States. “These are important jobs in Canada and they are coveted. But they’re going to get good candidates, as well,” Mordue said of competing countries. Canadian assembly plants have won a disproportionately high number of J.D. Power awards since the 1990s. During the same time, Canada’s assembly footprint has shrunk. Since 2000, GM’s Oshawa assembly complex has won four J.D. Power gold plant quality awards: recognition for being the top quality automobile assembly plant in North America. But Canadian plants didn’t win a single J.D. Power quality award this year. “Canada’s still better, but the difference is a lot narrower than 10 or 15 years ago,” Mordue said of the quality of work done here. Adding to the difficulty of landing new investment is the fact many automakers use streamlined or similar manufacturing processes, meaning they can set up shop — or move them relatively quickly and easily — virtually anywhere. All levels of government in Canada are doing that with tax dollars, usually in the form of grants. Things have become so bleak that governments are now “in a practice of subsidizing automakers just to stay” in Canada. Cash incentive “has become so ingrained that even Honda, a company that long eschewed direct government support, sought – and accepted – cash incentives from Ontario in 2014,” the report says. “Politics plays a big role in some of this stuff,” Mordue said. That’s because the auto industry is important to Canada but it’s concentrated in Southwestern Ontario. He said spending government money on a plant in Ontario is a tough sell in Kelowna, B.C., for example.